Laos is landlocked, encircled by China, Vietnam, Cambodia, Thailand and Myanmar. It manages to blend the best of each into its own unique culture. Like its neighbors, Laos has magnificent sights, smells and tastes, all without the overwhelming pace and sounds. This makes it a truly relaxing place to explore and enjoy the wonders of Southeast Asia. In this post, I’ll share some of my favorite places to visit in Laos. The most popular stop on the tourist track is Luang Prabang, and for good reason. This UNESCO World Heritage site is peppered with Buddhist temples, colonial buildings from the French era and a pleasant riverside backdrop. Take a boat ride to discover hidden caves, lush waterfalls and some fantastic hiking spots. 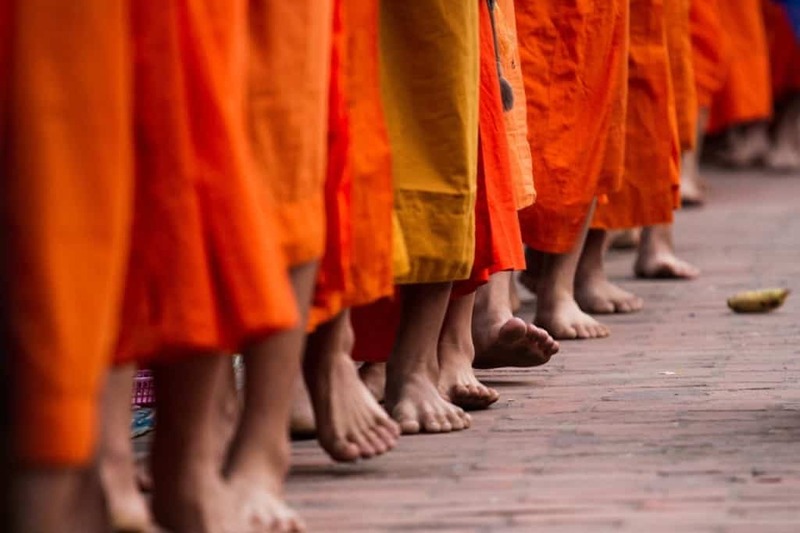 Each morning you can also watch the alms giving ceremony, where monks form a quiet procession through the town as locals (and tourists) offer them food. While this town is most famous for its party atmosphere, it’s its natural environment that makes it worth visiting. 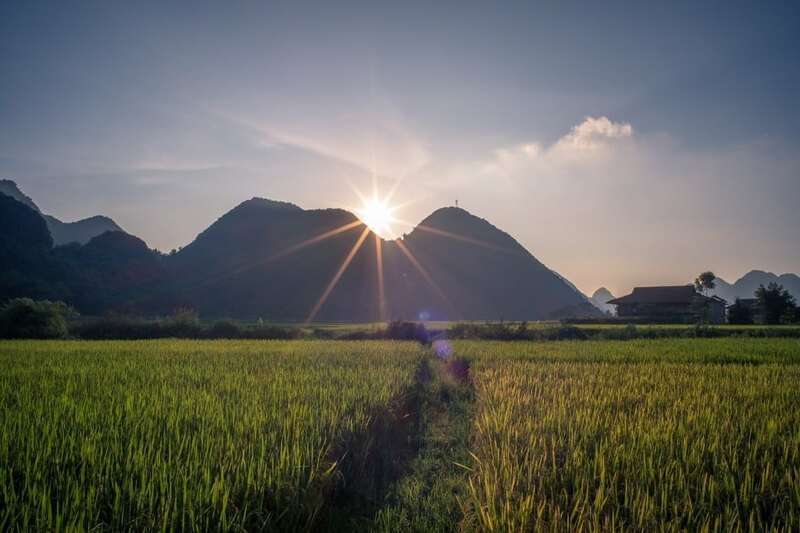 Cycle through quiet villages and past rice paddies to find beautiful limestone rocks amidst the jungle. There’s also plenty of great adventure activities here, from hiking to tubing down the river, which involves floating on a rubber tyre as the current moves you along. For the young at heart, join in the riverside parties in between tubes. 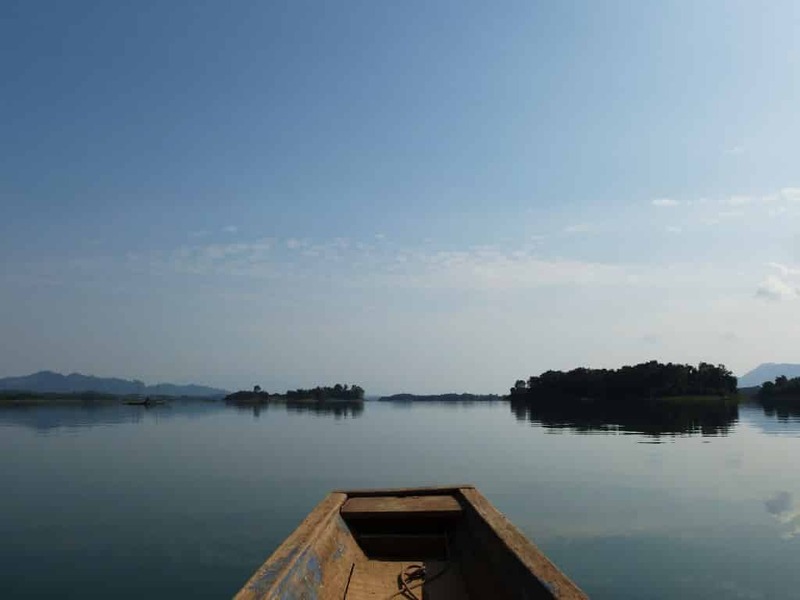 For a change of pace, head to the Bolaven Plateau in the south of the country. There are two spectacular waterfalls here, Tad Fane and Dong Hua Sao, and plenty of undiscovered villages that will show you just how simple life can be. Nearby is the Wat Phu, or mountain temple, that takes full advantage of the views below. Inside the temple, you will find beautiful examples of Khmer workmanship. 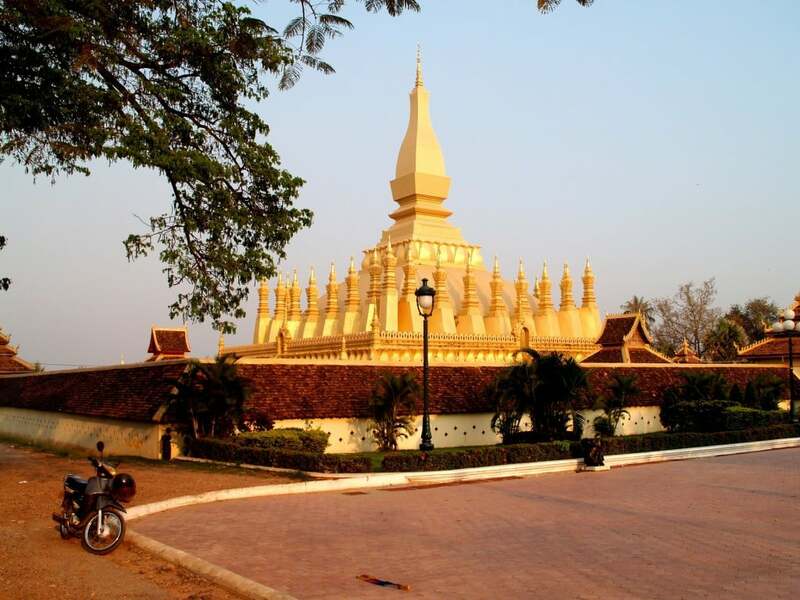 The capital of Laos is Vientiane and it has loads of charm. Unlike many Asian capitals, it’s relatively quiet yet has some of the creature comforts to make your visit enjoyable. As you would expect there are many interesting national monuments here – from the Patuxai Victory Monument to the Great Stupa, or That Luang. 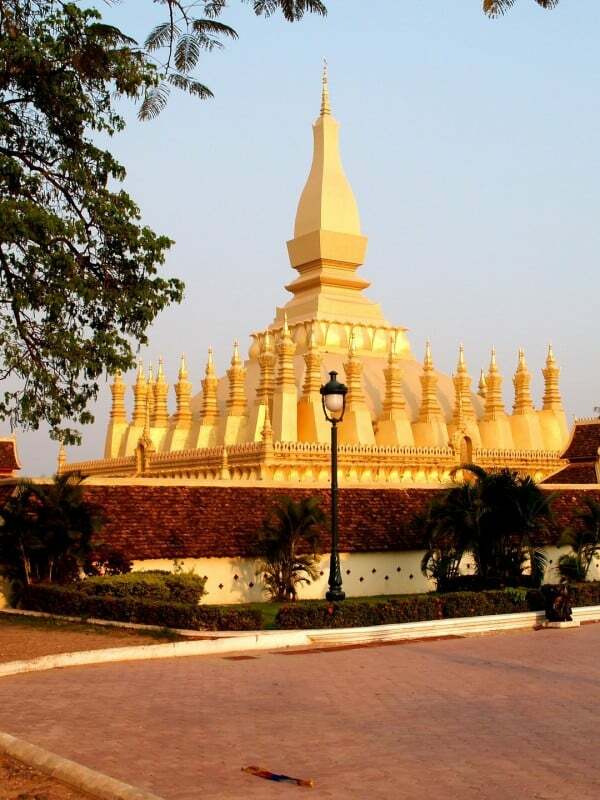 The Great Stupa is the most important monument in Laos, surrounded by high walls it includes two temples, one that glistens in the sun thanks to gold leaf that climbs 148 feet tall. Another interesting Buddhist site is Wat Si Saket, which is home to thousands of images and hundreds of seated Buddha statues dating back to the 16th century. If you’ve got time, see if you can count all 6,800 Buddhas. Then there’s Buddha Park, or Xieng Khuan, where you will find Hindu gods sitting happily next to Buddha. This is because it was created by a monk who was interested in both religions. Amongst the 200 statues, you can find a 40-meter reclining Buddha image.